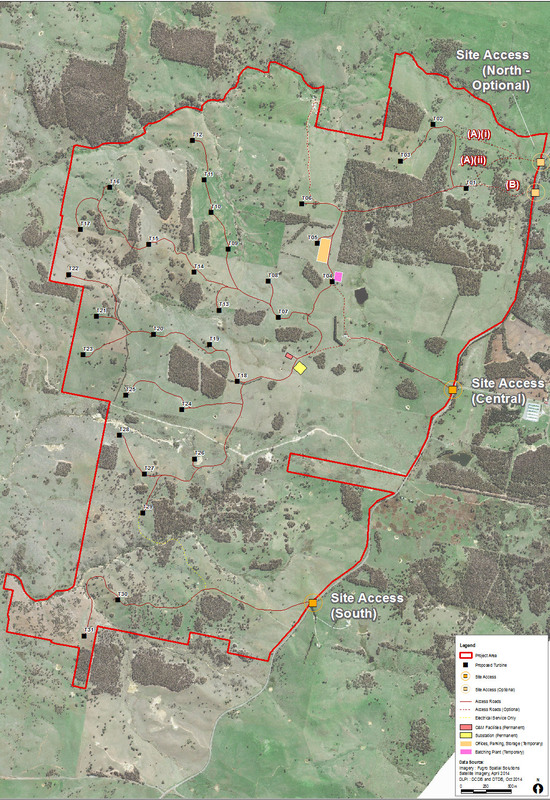 The proposed Biala Wind Farm is located approximately 8km east of Biala and 14.5km south west of Crookwell in the Southern Tablelands of NSW. The site entrances to the wind farm will be from Grabben Gullen Road. When constructed, the wind farm will encompass an area of approximately 1,936 hectares of rural agricultural land, however, the actual footprint of the wind farm will span 5% or less of this total area. The planned wind farm falls within the jurisdiction of the Upper Lachlan Shire Council. Click on the map below to view the planned wind farm location. The Project area is shown in red. Electricity from the wind farm will be transmitted to the electricity grid via underground cables, which are shown in purple.